Note cards should answer a question. Here are some examples for your topic. What was he famous for? What makes him important? When did he make an impact? Where did he have the greatest impact? Why is he still famous today? How did he influence others? If you are accessing from home, you will need a username and password for the databases. Please contact the librarians for access by email or stop by the library. 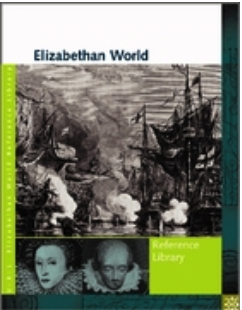 Click to search the Elizabethan World reference book.